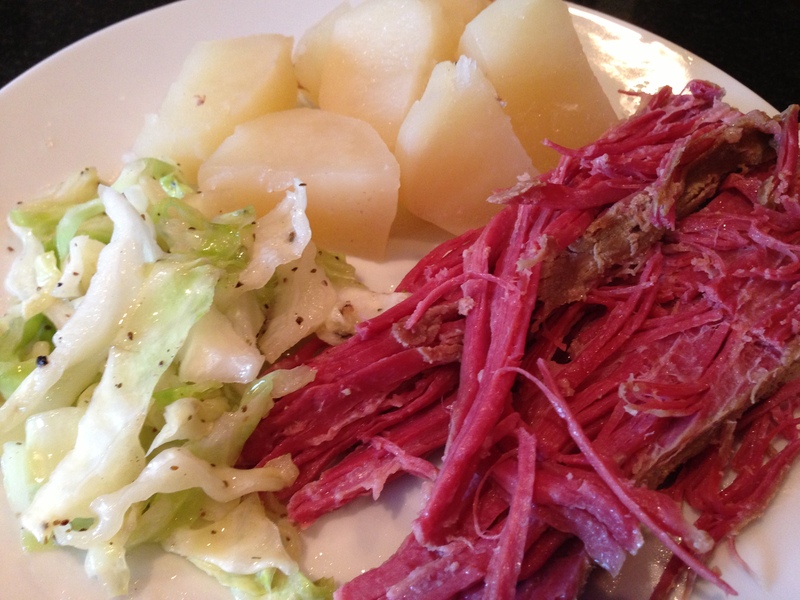 That’s what my 5yo said to me during tonight’s dinner: Corned Beef, Boiled Potatoes and butter-sauteed Cabbage. This isn’t a new meal for us in our house. In fact, it’s a long-standing favorite. My kids love how it tastes. 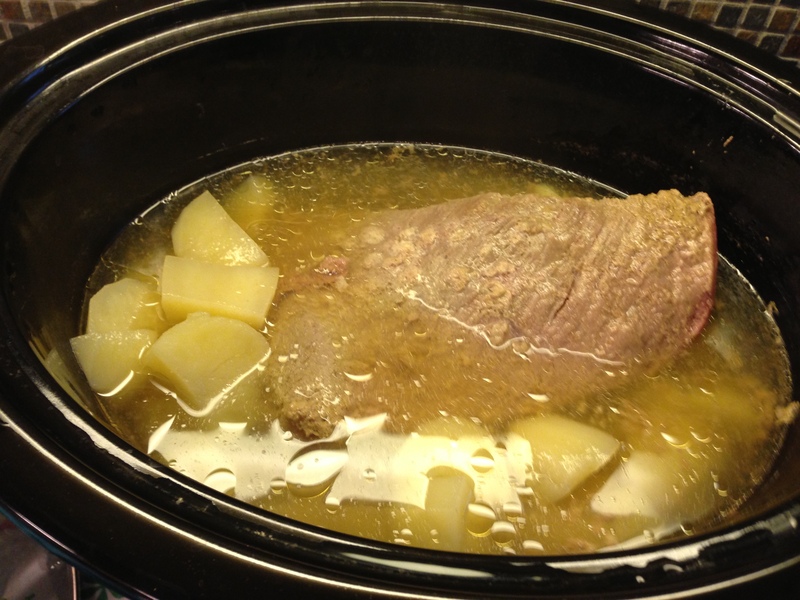 I love how EASY it is — especially since I make most of it in my beloved crock pot! 2.5 hours before serving, put quartered potatoes into the water. 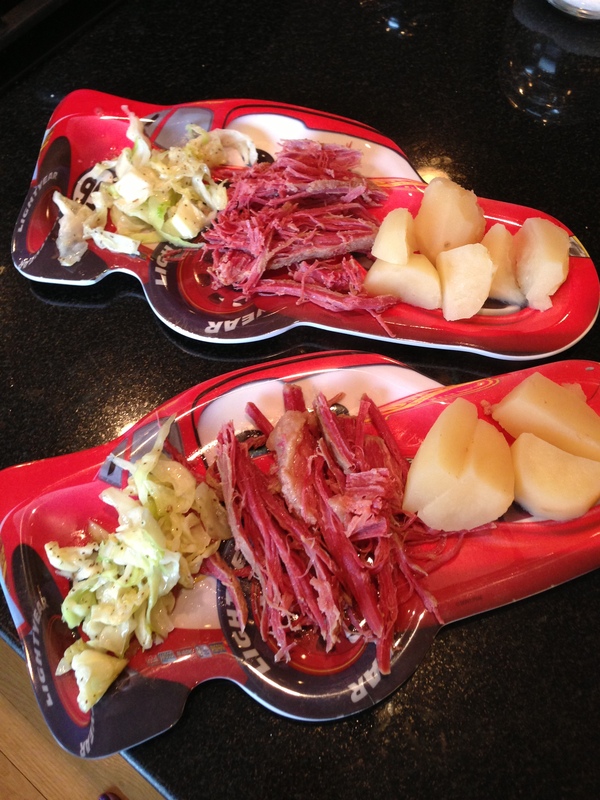 This meal vanishes from my kids’ plates! While it’s not exactly an ‘experimental’ recipe for my family, I thought I’d mention it as a possible one to try if you’re feeling adventurous. And, thanks to the crock pot, it’s perfect for a busy weeknight meal.